A few years ago I lost my job...It had been because of corporate downsizing and bailouts; a financial crisis--however you want to look at it. Basically, though, it all had come down to the same thing. I'd lost a career that, up until that point, I'd spent my whole adult life doing. It was what I'd gone to school for. It gave me financial security. From it, I felt confidence when I asked my wife to marry me. We've had children. We've enjoyed a North American, middle class lifestyle. But suddenly, all I had seemed in jeopardy, because I'd lost my job...Before this day, I had started writing. It had been years before that in fact, and I had completed many stories. Somehow, I had found the creativity within me that had been locked away from the dilemma of life getting in the way.The stories I had written were screenplays. They had done okay in Hollywood. Some were recommended; they were championed, but none were sold. So I had found myself jobless with my pockets full of stories, and there was nothing to stop me from letting my creative freedom run wild. Remember, I'd lost my job, so what would I do while I looked for another? The answer was simple. Write--three new screenplays; all high concept; all budgeted to sell. When they were done, they were all recommended and championed. But none of them sold...Soon after I'd completed that third screenplay, I got a new job. It was actually the same job I'd had before, because those who had let me go, called me back. I remember being amazed and relieved that I would once again receive financial reward for my efforts. My creativity, though, was about to get stuck in the same sinkhole it had been in before.The new job had been challenging and involved a heavy workload. I was determined to excel and make a difference, but something had to go. There simply wasn't enough time in the day, so I stopped writing.At first it didn't bother me. 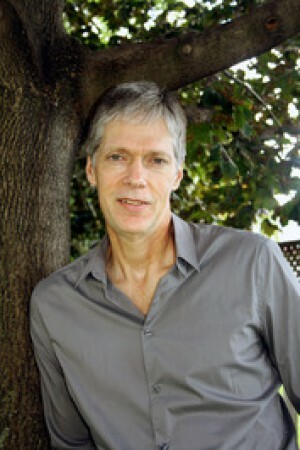 I hadn't been making any money at writing, and I was really just doing it for myself. I simply couldn't fit it into an already cramped life. After a while, however, my fingers needed to speak again.I had found myself outlining another screenplay when I stopped and thought about it all. I had issues with two things. Few were reading my work, and no one was putting up the money so others could see it; but it didn't have to be that way, and I finally figured out that I shouldn't be writing screenplays.Purified, my debut novel, had been born from that thinking. 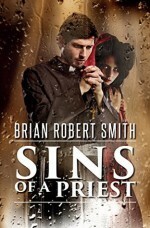 After I published Purified, I moved straight into writing Sins of a Priest. Now I realize that writing is something I'm not going to be able to get away from. It's in me, and it must come out. I recently read a quote from Steve Harvey's book, Act Like a Success, Think Like a Success: "Our creator, in his infinite wisdom, created every single soul with a gift. When we utilize our gift, the universe thanks us by giving us an abundance of riches. "I'm writing this on the first day after I've lost my job, again... By taking away what I've conveniently become dependent on, the opportunity to write more has once again been put in front of me. Is this happening because I've found my gift? Is writing novels the gift I'm supposed to be giving to you?Of course, only time will tell. The push and pull of my needs and desires will inevitably determine a winner. But after handing in my company assigned laptop and accepting that my key card is now powerless, there's one thing I know for sure...I'm not jobless. I'm a writer.